The singer - dubbed the queen of soul - will need treatment during the time the shows were scheduled with the Chicago Symphony Orchestra on May 20 and at Foxwoods Resort and Casino in Connecticut on May 26. It was not revealed what kind of treatment she will undergo and her publicist did not immediately respond to a message seeking details. Singer Janelle Monae will step in for Aretha for the Chicago Symphony Orchestra Corporate Night fundraiser. 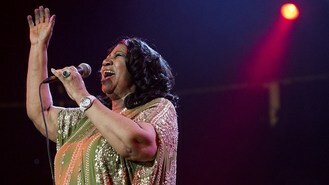 Franklin previously cancelled shows for medical reasons in 2010, when she was hospitalised for several weeks, leading to rumours she was being treated for pancreatic cancer, which she denied. It was then rumoured that she had undergone gastric bypass surgery because of the dramatic weight loss she experienced in 2011, but Franklin never commented on these claims.